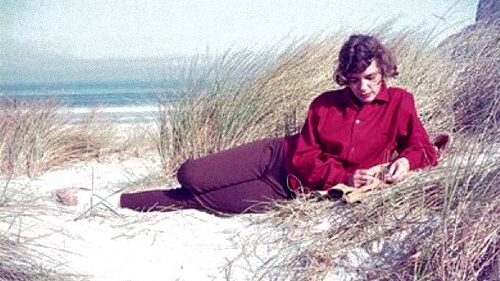 On 19 July 1965, Ingrid Jonker, a South African poet, committed suicide by walking into the sea. Jonker was 31 Years old. The advanced ideas inherent in Ingrid Jonker’s poems have made her a recognized literary figure internationally, with her poems being studied, translated and published in many languages including English, German, French, Dutch, Polish, Hindi and Zulu. The collected works of Jonker, including several short stories and a play, were published in 1975 and re-issued in 1983 and 1994. Much of Jonker’s early writing related to the episodes and trauma of her early life. Yet as a mature poet, Jonker never failed to express compassion for her fellow human beings, reflecting a refreshing innocence devoid of pernicious social prejudice and hatred. This seminal Afrikaans language poet sensitively engaged with the cause of the poor and the lot of black South Africans from the position of a common humanity. Jonker’s work was condemned by her father, then a leading member of the National Party and the chairperson of the parliamentary committee responsible for the Apartheid system of censorship. In April 2004 Jonker was posthumously awarded the Order of Ikhamanga by the South African government for “her excellent contribution to literature and a commitment to the struggle for human rights and democracy in South Africa.